GRAMMY® award winning band The SteelDriverswill perform at The Caverns in Pelham, Tennessee on August 17. The underground “performance hall,” known as The Cave, will host Bluegrass Underground’s 10th anniversary celebration, along with The SteelDrivers‘ own milestone of 10 strong years of highly acclaimed albums with numerous awards. Doors open at 6 p.m. with show time at 7 p.m. Tickets are available now and can be purchased here. 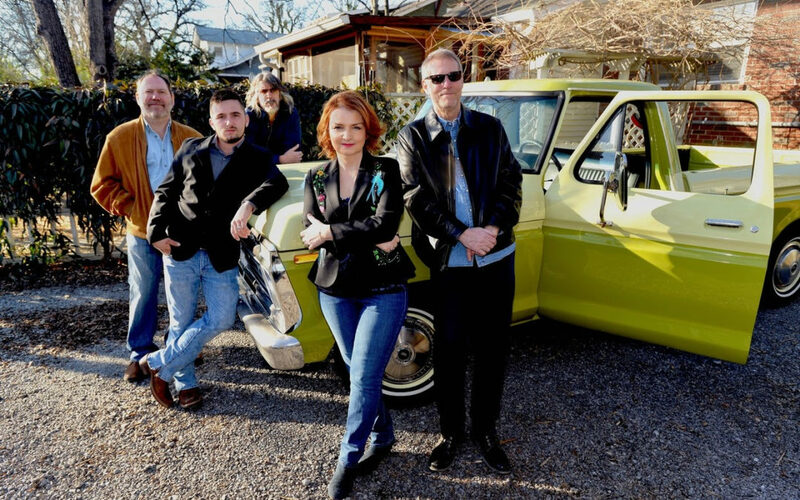 “It’s hard to believe it’s been ten years since our first album,” band co-founder, lead singer and fiddle player Tammy Rogers muses. “And yet, even with all the change and transition, we still have the same joy and enthusiasm that we did in the beginning. Even as the trajectory changes, the story continues to unfold.” The SteelDrivers recently announced the addition of new lead singer Kelvin Damrell from Berea, Kentucky. The innovative, soulful bluegrass band The SteelDrivers released their fourth Rounder Records recording The Muscle Shoals Recordings in 2015. The album reached #1 on theBillboard Bluegrass Chart and received a GRAMMY® award for “Best Bluegrass Album.” Earlier this year, The SteelDrivers re-released their 2008 self-titled debut album on vinyl. The band’s recent tour dates have wow’d critics, who praise the band’s “gutsy, gritty, bluegrass songs” (Juli Thanki, The Tennessean). Writing in the Philadelphia Inquirer Ad Amorosi declared, “You can call it power-bluegrass or country soul, but whatever you call it, Nashville’s SteelDrivers have bushels of it.” To learn more about the world-class musicians and performers, visit www.thesteeldrivers.com.